Since the 1970s, Stripsteel has been the pioneer in providing prompt delivery of national and imported precision high-carbon or stainless steel strips at the most different dimensions and qualities. 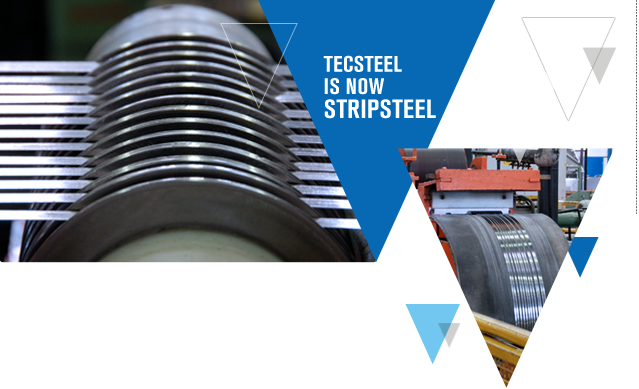 The greatest, most complete and diversified product inventory in the market and a customized service that makes the difference enable Stripsteel to provide from just one meter to big quantities of product at thicknesses from 0.01 to 3.00 mm, and width from 2 to 600 mm, for immediate or scheduled deliveries. Therefore, do not forget to contact us and rely on a traditionally innovating company that is widely known in Brazilian steel market. You will receive a top quality product and a service that better understands its applications. Stripsteel is now provided with all technological tools, greater cutting equipment availability and a full inventory that gives you the widest range of steel strip possibilities. Stripsteel gained competitiveness and become stronger to seek the best commercial solution for you with terms that fulfill your requirements. Special equipment for edge treatment. Deliveries to the whole national territory. Click here to access the Stripsteel site.